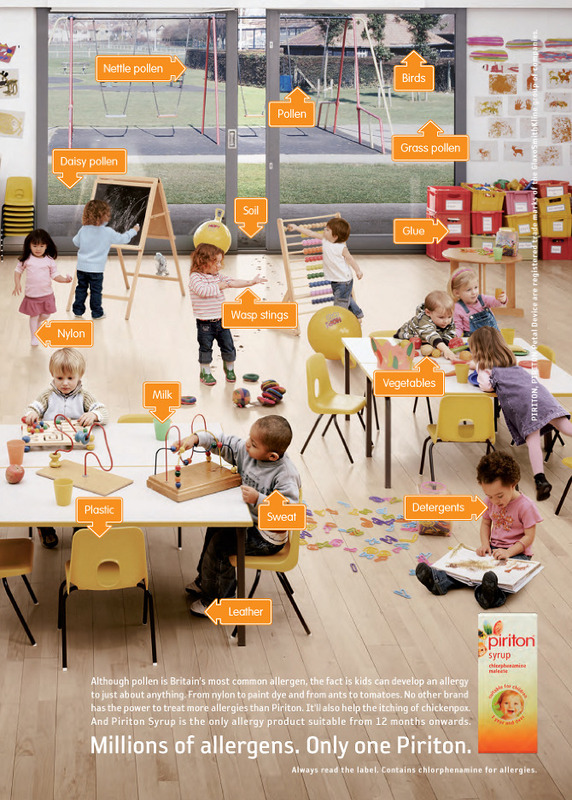 For the summer of 2008, Piriton created a multi media, fully integrated campaign that brought their TV ads to life. The outdoor work cleverly used trompe l’oeil to point out the allergens that surround us all. This was supported by press and online banners. 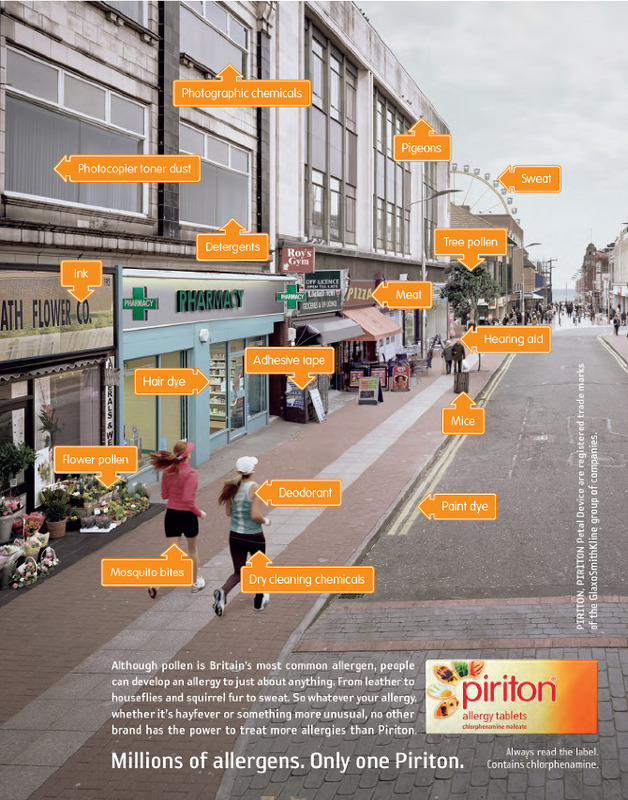 Most excitingly, Piriton undertook an experiential campaign at the RHS Chelsea Flower Show, the home of millions of allergens and thousands of allergen sufferers. A Routemaster bus bedecked in flowers offered visitors free rides to and from the flower show, whilst around the flower show and Sloane Square tube station, Piriton branded sign holders and street walkers pointed out the many different allergens that surrounded them. Branded Smart cars, scooters and rickshaws also flooded the area, and successfully drove home the message that there are millions of allergens, but only one Piriton. 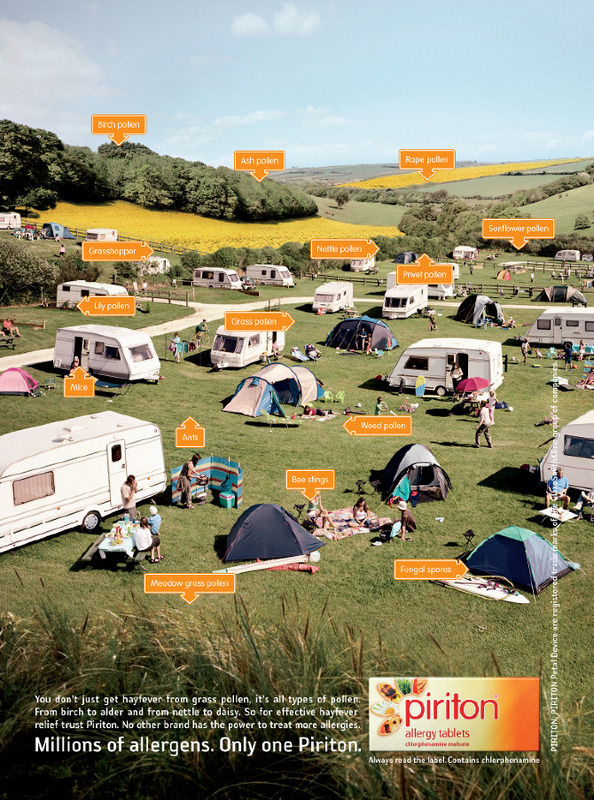 In total the campaign generated a significant amount of national and trade interest, resulting in increased brand awareness and usage.